On a random whim a couple years ago I picked up a fuji poloriod camera that shoots tiny little 2×3 images. It was fun to interact with something physical related to photography since so much of what I do is shuffling pixels around. Shortly after, during an epic New Years trip to Nelson, BC with old friend John Stifter and new friend Nick Ponterello, I got inspired by Nick’s use of typewriter and snail-mail to send thank you cards to friends. I promptly stole his idea and did my best to make it my own. 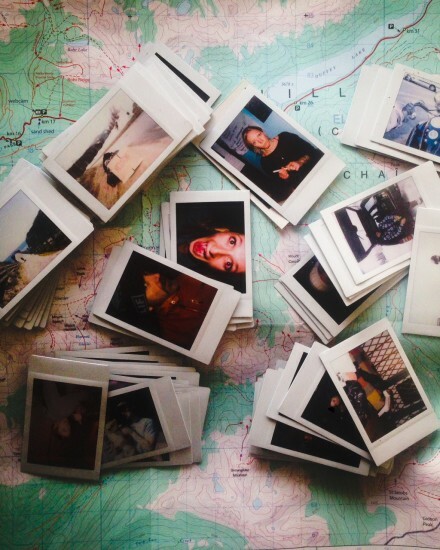 I started collecting tiny Polariods of people and places wherever I went. I designed a little logo and got a rubber stamp laser printed and started sending snailgrams. I loved the concept of getting to send hand written notes to friends packaged up with a little moment frozen in chemicals on paper. 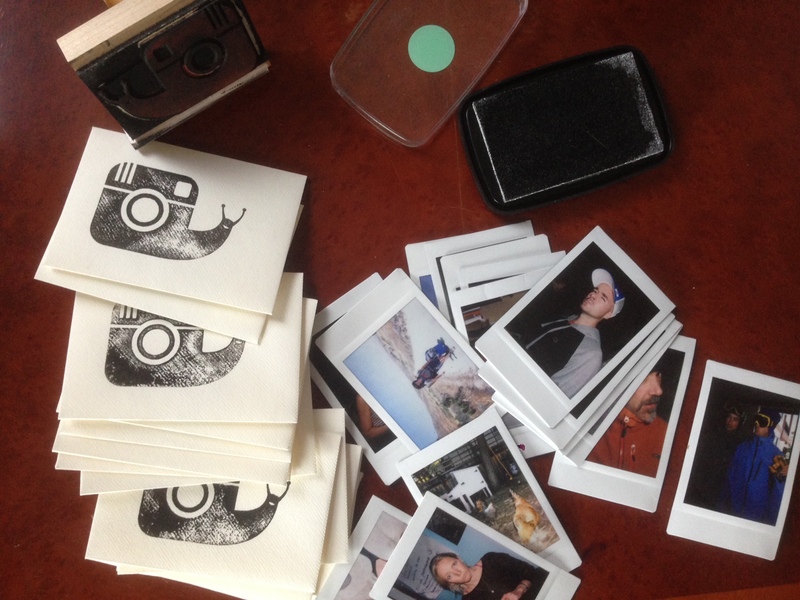 Last year I got my first opportunity to use the little toy camera to publish work. I covered The Meeting for ESPN with all polariod photos (this year I was just an attendee). The original idea was that since The Meeting is really about the amazing people that attend each year I would have each subject choose and shoot a photo of the next subject. Unfortunately, while I still think it’s a cool concept that theoretically would lead to people choosing their inspirations, colleagues and friends with something interesting to say about each, the reality was much different. 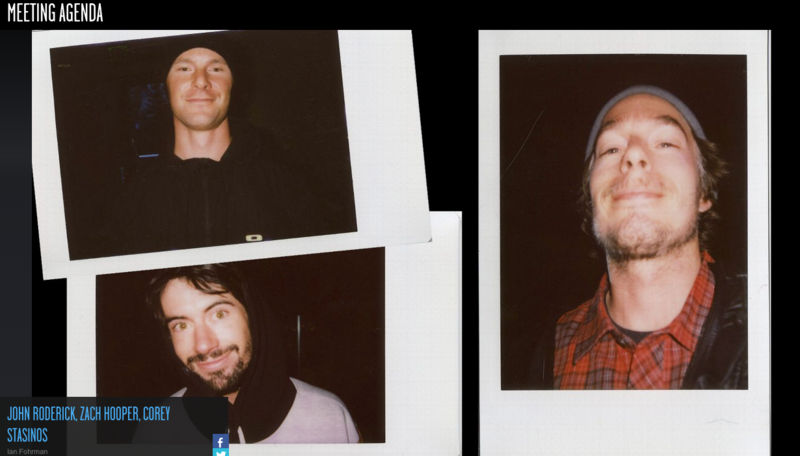 In a party situation all the Polaroid film gets wasted really quickly on people shooting 5 photos of the person next to them and then forgetting to pass the camera along. Tired of wasting film, chasing the camera around, and herding kittens I decided that I would just shoot the photos and get a quote about each person from someone else in attendance. I’m pretty happy with how it all came out. 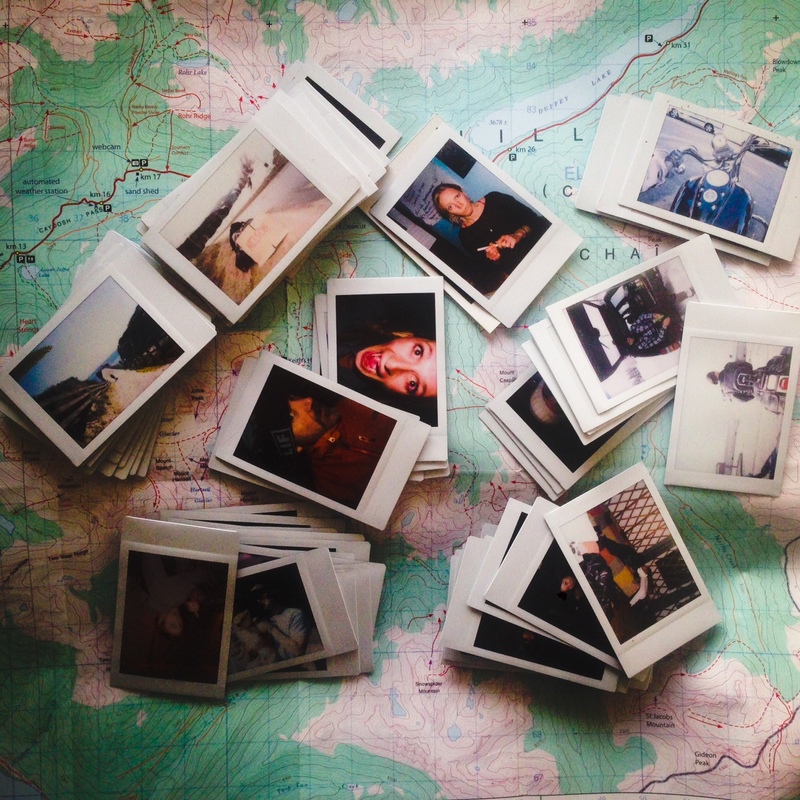 Somehow Polaroid gives the viewer a more visceral sense of glimpsing a moment. It feels more intimate. I think this is partly because of the raw feel of the medium but partly because of the way subjects react to an interesting little plastic toy camera as opposed to a big fancy SLR body. It pulls people in. They let their guard down, and the viewer feels that. Fun way to cover a story that’s been told a hundered times before.